I vaguely recall wanting to be an astrophysicist but that was short lived. Music, computers, and synthesizers fascinated me, so combining those skills together, a career in the games industry, such as it was then, was a goal from an early age. The school I attended wasn’t really geared up towards teaching computer science, and actually not very supportive towards me taking computer studies as a major subject. I was told that it isn’t about playing games, to which I pulled out a copy on Computer Gamer and showed them the listing of my game “Game of Death” that was within it. They didn’t try to dissuade after that. We ended up with the physics teacher teaching the class but myself and David Blake (who later went on the work for Software Projects and Ocean) would often help as we were more knowledgeable about it! Probably in my early teens. I’ve always been interested in music, and learned to player the piano and cello growing up, and as the music sound in C64 games became increasingly more rich and complex, I started to focus on programming the C64 to create my own music. In 1985/6, I applied for a job I found in the back of a computer magazine at interceptor Micros, and after arranging an interview, my dad drove me down to Tadley a few weeks later. With a few floppy disks in hand, I demo’d some of my work, one of which was a sound editor I was working on which seems to peak their interest. A few of their programmers huddled in the corner of the room discussing me, and I overheard Andrew Challis say “we need a musician” which I think is the only reason that cliched it for me. I was still at school at the time, but once I finished my final exams I joined them in June 1986. Most definitely. The first computer I laid eyes on was my friend’s BBC, which after spending a weekend with him typing in listing into it, I asked my dad if I could have one. After a lot of nagging, he gifted me a Vic 20, but after a week he took back to the shop and upgraded to a C64 after I (selfishly) complained that it wasn’t very good. In 1987, you joined Ocean after interviewing with Gary Bracey who also interviewed for RGM. You had a great chat with Martin Galway picking his brain over his sound design techniques for several of his songs please go into more details about this? My friend from school, David Blake, put the idea forward that I should come and interview at Ocean. 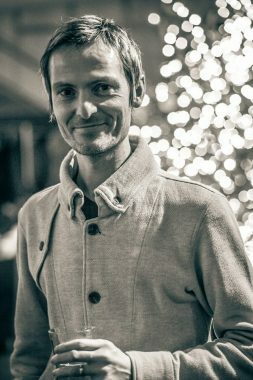 He had recently joined after Software Projects closed down and was working with Colin Porch. From what I recall, I think I just turned up at Ocean one day – no interview scheduled, and David introduced me to Gary Bracey. I demoed the music I had just written for Joe Blade, and he must have been impressed enough as I he led me off down the winding corridors to meet with Martin Galway. Martin asked me a few questions about what techniques I used, one that I remember was my use of two detuned voices to get a thicker sound in one of my tunes. When I started to question him about his sound techniques, he first asked “are you going to accept the job? If so, Ill tell you” or words to that effect! I reassured him that I was (even though I hadn’t even been offered a job yet) and he proceeded to divulge his tricks. The Wizball popping sound puzzled me, and it seems to obvious now, that it was created by playing an arpeggio at 200Hz – four times per frame. He also showed me how he created the “drums” on Arkanoid, along with the sample data that he said was generated by just typing in random numbers until they “sounded good”. Hey, it worked! The last thing I recall was Martin demoing me a version Match Day on the C64 that he had programming, which never made the light of day (or at least I don’t think it did). It was using player graphics that looked like they were from Hyper Sports. Maybe you or one of your readers knows about this version?!? Was it easy to fit in at Ocean? Who was the first person who made you feel welcome at the company, and are you still in touch with them? Upon joining Ocean, I shared an office with John Meegan who was working on the port of the arcade game Rastan at the time. We had similar tastes in music, and a equally similar sick sense of humour, so we got along fine. I joined as a composer but asked if I could write a game first to hone my programming skills. Both John and Dave Collier, who was in the next office, taught me a few programming tricks which helped me improve my skills and settle in. Paul Hughes was a cheerful chap, and always had the time of day. As I’ve spent most of my life working in different countries (UK, USA, Canada, Japan) I’ve lost contact with most people I’ve worked with but with the advent of social media, it’s been nice to be able to “meet” them again. What is the funniest and/or most frustrating thing that happened to you at Ocean? 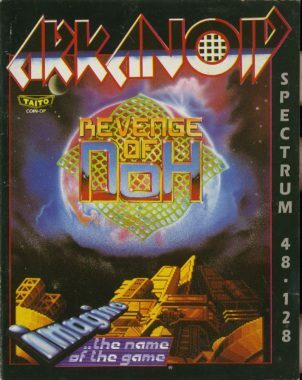 You have a very impressive CV, working on many Spectrum games such as Arkanoid Revenge of Doh and Target Renegade . Which was the easiest score to compose and which was the most challenging, and what kind of challenges were there? 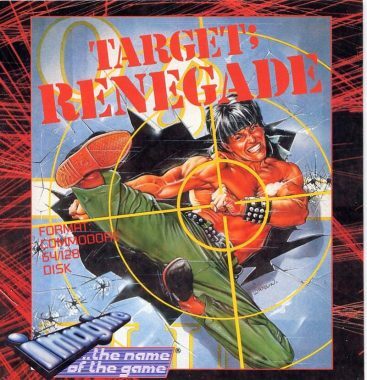 Between Arkanoid RoD and Target Renegade, the former was the easiest as it was just a matter of transcribing the original music and re-implementing them for the AY (Spectrum 128k and Amstrad CPC). Ocean had a bunch of arcade machines in a room* just the bare boards and CRT tubes, so I would play the game while recording it onto tape and hope I get some good take without any sound effects or people talking over the music. Target Renegade was definitely more challenging, and rewarding as i had no specs as to what the music should be like so I had a free run at it. The AY versions were especially challenging as I couldn’t program z80 assembler and had to make use of the music player that was at hand. Saying that the player was poor would be an understatement, but thankfully James Higgins helped out and fixed a few bugs and implemented a few extra features for me. 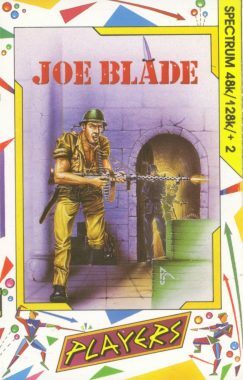 From the 8-bit days, Target Renegade by far but I still like the upbeat music I wrote for Joe Blade, which was completed on a tight deadline and had to also code the music and sound effects player from scratch. In the modern era, most of my compositions are aimed at TV show and commercial slots, and is mainly orchestral/cinematic in flavour. I’m currently putting the final touches on three pieces for the Symphonic 64 kickstarter, re-orchestrating and arranging the main theme tunes for Delta, One Man and his Droid, and Shadowfire. I understand Jeff Minter who lived close by. Did you ever meet him? I only ever met Jeff Minter once at one of the PCW shows. I think he was demoing Iridis Alpha but I’m not certain. This would have been around 1985 so that should date the game. He taught me how to implement top/bottom border sprites, which I later taught the programmer of Joe Blade. I guess that’s how techniques were learned in those pre-internet days. On the subject of border sprites, I learned the side border sprites trick from Tony Crowther after randomly ‘phoning him up after obtaining his number. The usual fair from the late 80’s / early 90’s: C64, Spectrum, Amstrad, Atari ST, and Amiga. After that my professional career transitioned to solely programming but I composed music in my spare time as my main hobby, and own a small collection of analogue synthesizers. This has now turned into a semi-professional line of work, as I compose mainly orchestral and hybrid cinematic music targeted for commercials and TV shows. What games did you work on? Please include a list of titles and some details about the music? The games that I created the music and sound effects for were, in chronological order, Into The Eagles Next (Amiga/ST), Joe Blade (C64/Spectrum/Amstrad), Arkanoid Revenge of Doh (Spectrum/Amstrad), Target Renegade (C64/Spectrum AY/Amstrad), Slayer (C64/Amiga/ST), Steel (C64/Amiga/ST). 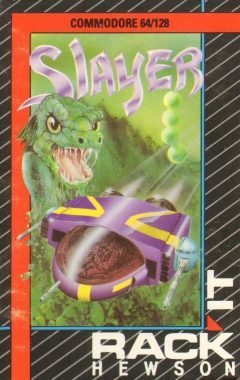 For Target Renegade, I composed all the music and sound effects but as time was running out to release the game, I enrolled the help of Jon Dunn for help with porting my music to the Spectrum buzzer player. At this point in time, I was getting seriously into 3D rendering programming, so music became secondary in my every day work. It would depend on the situation – sometimes the games are still a work in progress, without the game play and/or graphics being cast in stone, or only a level or two being semi-complete. As such, being able to envision what the game will be is a key thing. I composed the music for a few of the games that I programmed, so musical ideas would be brewing in my mind while I programmed. The process for creating music now, compared to the way it was back in the 8-bit and 16-bit eras are not even comparable. When I first started out at Interceptor Micros, all I had was a C64 and monitor. As commercial music software was severely lacking in features, CPU performance and memory consumption, my first task was to write my own. Andrew Challis gave me a MIDI interface, which I used to play the C64 “live”, although I did not add an recording functionality. Editing the sequences and sound patches was a laborious matter of punching in numbers, compiling, and running. Rinse and repeat. The development time for games was so short that writing a user-friendly user interface just wasn’t possible, although thinking back I should have explored it more. Look for a job in another field of work. Failing that, learn to live off of pot noodles and grass. I think that if you really want to make a career as a games composer, you need to learn the technical side of it, including at least a little programming knowledge and software such as FMod and WWise. I moved to Japan with my family in 2013 and have been busy working on a few projects, including The Tomorrow Children which was released last year. Unfortunately, such is norm these days, I can’t divulge anything specific about the current projects I’m working on but one is VR related, and the other is for the latest generation of consoles. From a personal standpoint, I’ve been studying part time for a MA in multimedia music which I will complete by the end of the year. Saturated, and sometimes unfulfilling having to work in larger teams. My favourite computer was my Amiga and 2 of my favourite games were Cannon Fodder and SWOS 🙂 and my favourite console was the Megadrive. Do you have a favourite? The C64 has to be my favourite for two reasons. The first being that it was the computer that started my game development career, and the second being the amazing SID chip. These go hand in hand, as I think I spend more time listening and analyzing game music, and programming the SID myself than actually playing games. The Amiga and Megadrive are both close seconds. I never owned a Speccy but always had a soft spot for it, and have recently backed the Spectrum Next and look forward to getting my hands dirty programming it! Favourites are hard to choose. On the C64, I think I must have played international Soccer and Paradroid the most, and had the pleasure of having my photo taken with Andrew Braybrook at a PCW show in the mid-80s. I remember playing Super Monaco GP / Ayrton Senna GP way too much, On the Amiga, I spent too much time playing Geoff Crammond’s Grand Prix (in real-time mode, so the full duration of practice, qualifying and the race) on the Amiga. Championship Manager and KickOff/Player Manager also got a good look in. I wish I had that kind of time on my hands now! Or better still, get that time back! Do you still game on the current consoles? If so which is your favourite game? I don’t find the time to play many games these days but do own a PS4 but my kids mainly use it. I really enjoyed Fallout 4, and have been playing all the game in that series, and Wasteland 1/2. Uncharted 4 is another I played all the way through, and I quite liked The Walking Dead series. If you discount any games I wrote, and only focus on games I had actually purchased… Actually, I pass! It may be a little dry but I’d like to see a review of the computer hacking game System 15000. Many thanks again for the interview.